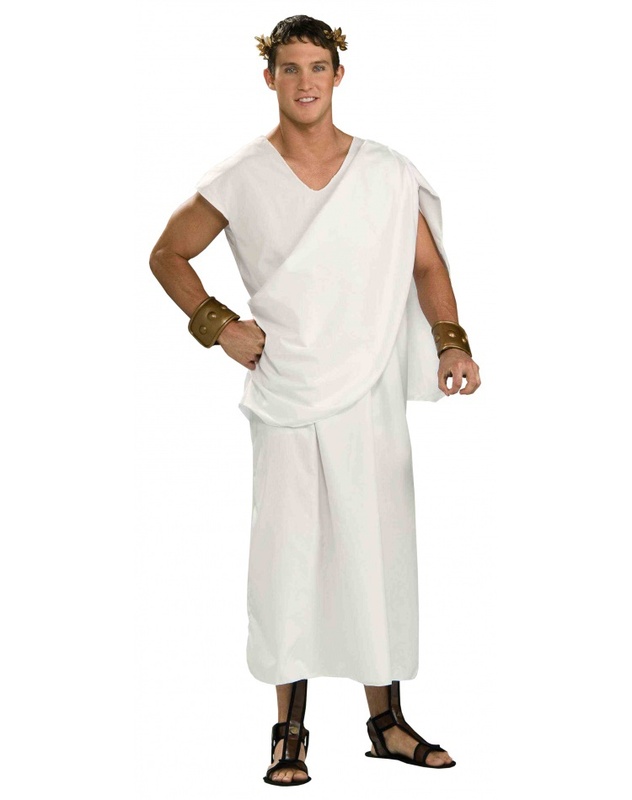 Our men's toga costume includes a long white robe with shoulder drape. 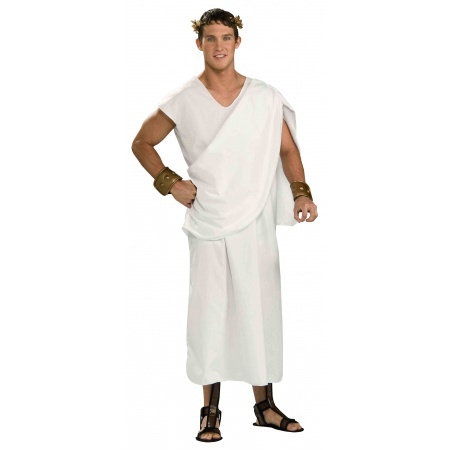 The Toga comes in adult sizes X-Large, Standard. The headband and wrist cuffs are not included with the toga costume.